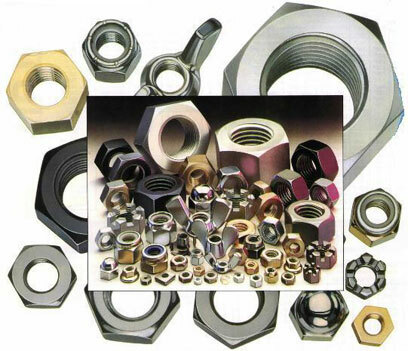 Sometimes known as carp nuts, these combine a plain or domed washer assembled into a hexagonal nut so saving time, operations and loss of washers. The washer offers a load spreading function and if serrated also adds to the anti-vibrational security of the assembly. 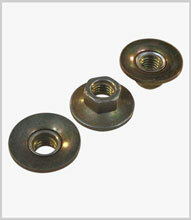 Common sizes are M3 to M10 in zinc plated steel or stainless.